This is one spooky ride! 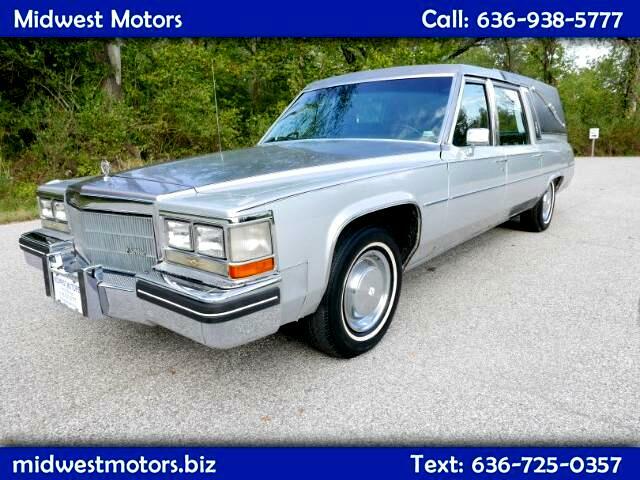 With incredibly low mileage, right at 75K, this original Cadillac Hearse is ready as your next creepy cruiser. We've seen all sorts of things done with these cars, from camper conversions to movie props. The seats are plush and comfortable, it's really "to die for". Despite all the cool quirks that come with owning a hearse, it has a reliable and powerful 5.7L V8 engine built for dependability and comfort on the road. After all, it's a Cadillac! Rest your bones in luxury and comfort! Call today (636) 938-5777 ! View our full inventory at midwestmotors.biz! Message: Thought you might be interested in this 1984 Cadillac Fleetwood.